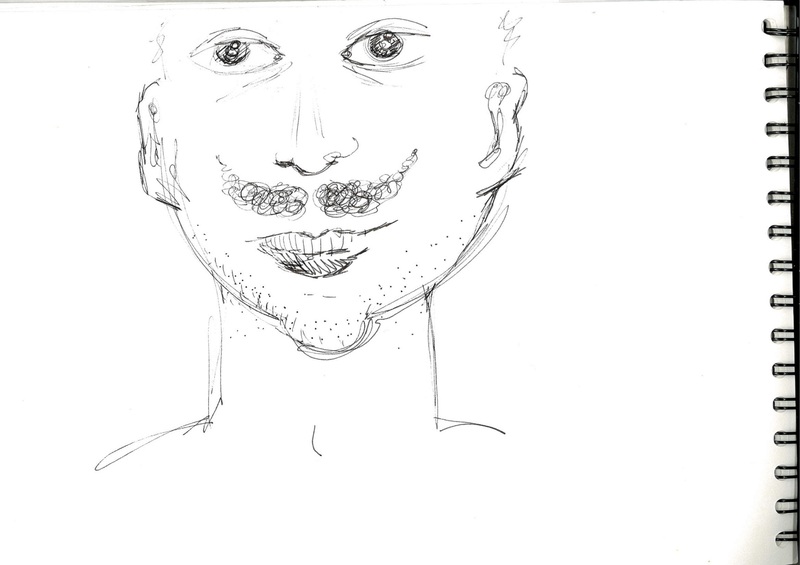 For this task we had to choose someone else’s interview and try to build a picture of the interviewee. 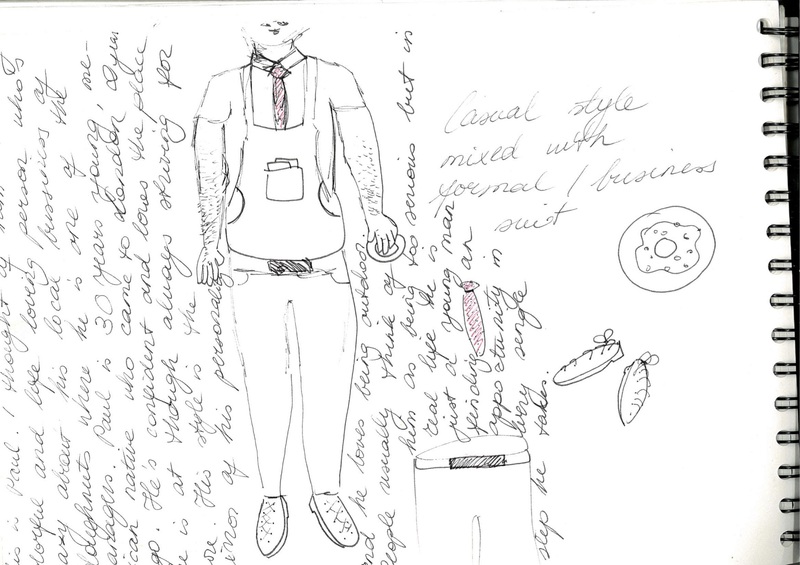 Imagining what the interviewed person looked like, where they are from, what is their character, what do they wear? 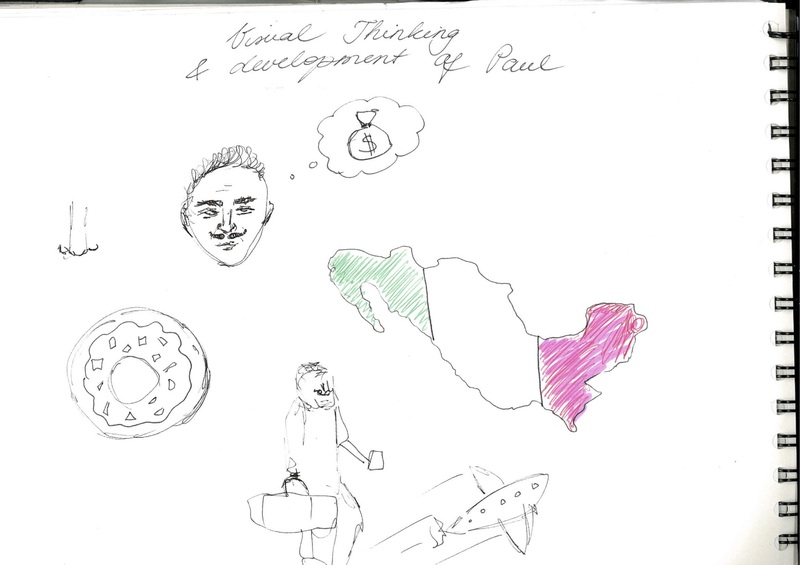 Through out m y visual thinking and development I had to create an image of a Paul from Mexico. 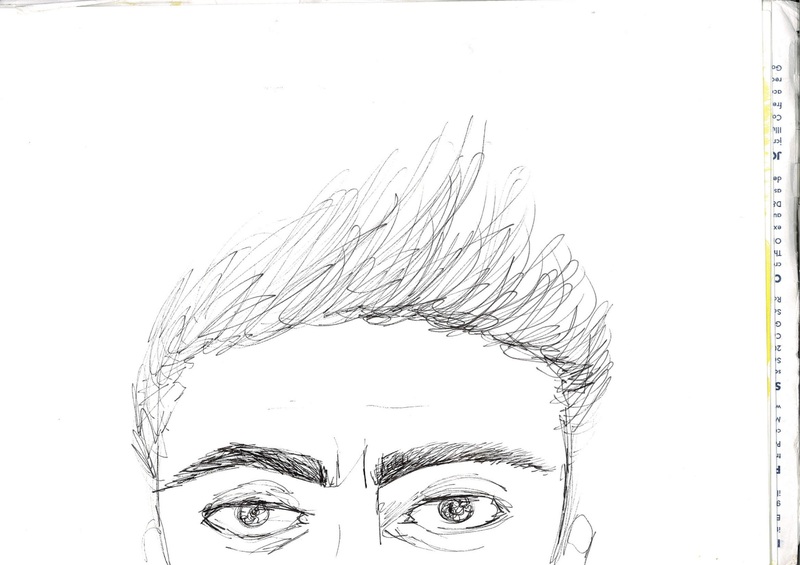 While sketching and looking at the given characteristics that can be seen on the left. 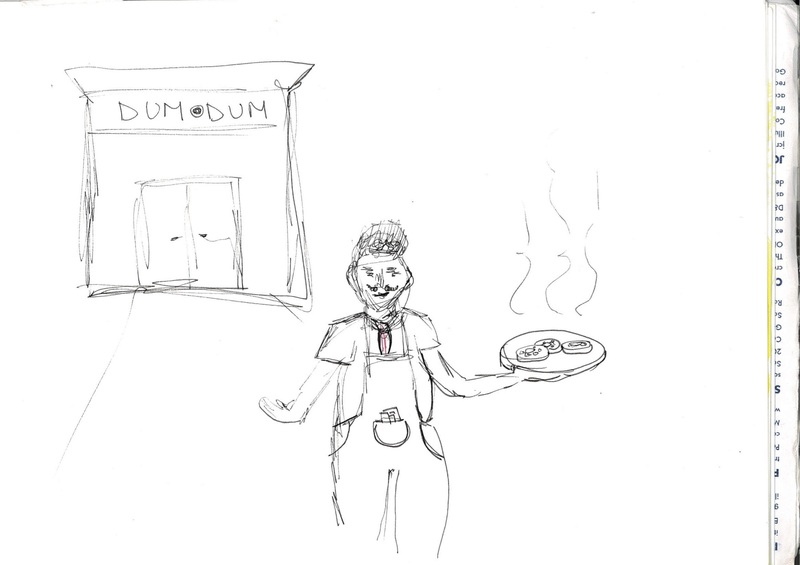 Paul is managing shops, interested in retail management, manages the doughnut shop ‘DUM DUM’. 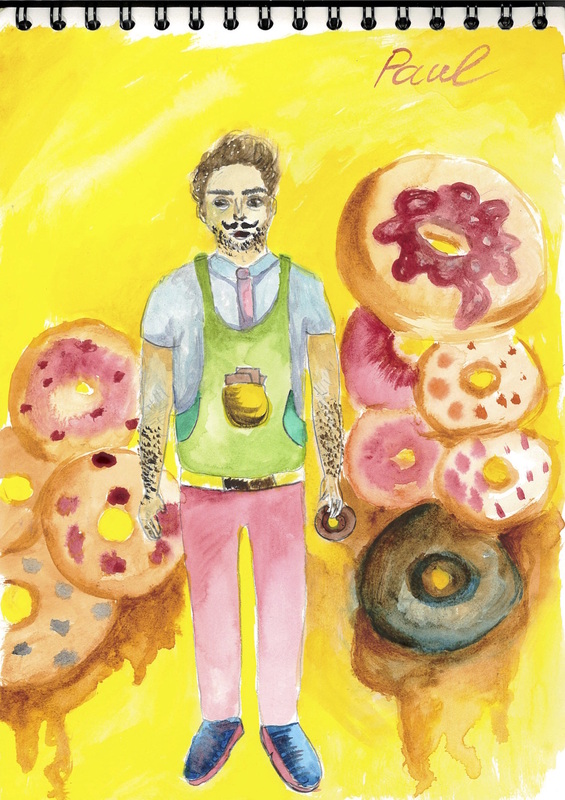 Within the visual development of Paul I also wrote down how imagine he is as a person : Paul is a very life loving and colourful person who is crazy about his local business of doughnuts where he is one of the managers. Paul is 30 years old Mexican who came to London 2 years ago. He is confident and loves the place he is at though always striving for more. His style is the mirror of his personality and he loves being outdoors. People usually think of him as being too serious but in the real life he is just a young man finding an opportunity in every single step he takes. He likes to mix casual comfortable style and an image of a business man, also imagined him as having a funky moustache and bit of beard. Down below you can see the drawings I made of how I would characterise Paul.